When fundraising and awareness efforts combine a great cause with a unique method is a win for all involved. At GMM here we are always looking for charitable events that are by and/or for men - and when the two are combined - when it is a man-friendly event for a men's cause, well it gets the GMM seal of approval, for what that's worth. 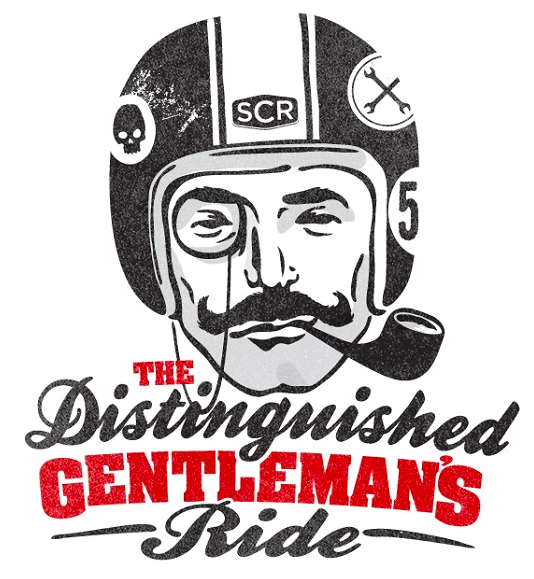 At the end of the month I will be participating in an event that is all about Greater Milwaukee Men - The Distinguished Gentleman's Ride, an international motorcycle ride for Classics, café racers, bobbers, trackers, customs, modern classics, classic scooters & undefinable 2/3 wheeled machines to raise awareness and finds for prostate cancer on September 28. The Milwaukee ride details are here, and there is a Facebook page. On the surface that's two tings going for this event - motorcycles, and prostate cancer - but it ups the ante by making it a unique ride. Participants in the ride are called on to dress up - be dapper - on their bikes (vintage preferred). In 2014, DGR expects over 20,000 smartly-dressed gentlefolk in over 220 cities to straddle the saddle in the name of men’s health. The Milwaukee Ride starts 9/28 at 9:00am at Fuel Café - 818 East Center St. Milwaukee. I welcome and encourage all Milwaukee riders to join me, if you aren't a rider consider sponsoring my ride here. This post was from 2014, 2015 details to follow, in the mean time check in at the Facebook event for the 2015 ride here.